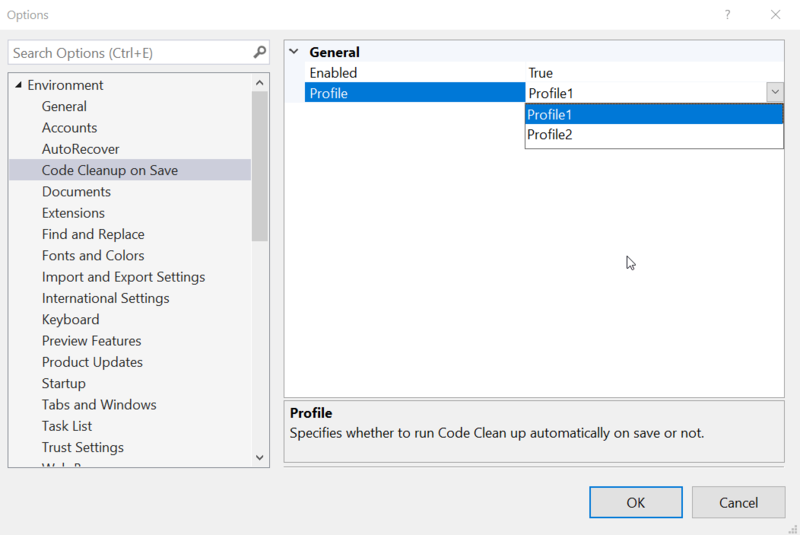 Automatically run one of the Code Clean profiles when saving the document. This ensures your code is always formatted correctly and follows your coding style conventions. Code Cleanup is a new feature of Visual Studio 2019 that will automatically clean up your code file to make sure it is formatted correctly and that your coding style preferences are applied. This extension will perfor the Code Cleanup automatically when the file is being saved. At the bottom of the C# editor, click the Configure Code Cleanup. By default, Profile 1 is executed on save by this extenions. The options page allows you to chose between which profile to run automatically on save.